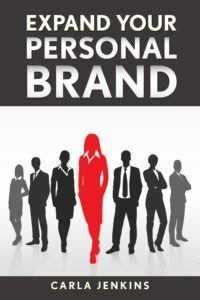 Carla R. Jenkins’ latest book, Expand Your Personal Brand, compiles 20 valuable lessons the author learned through ten years of trial and error. Covering topics such as finances, personal branding, marketing and time management, this book provides an all-round solution to all your branding questions and problems. Within this book, Carla provides 20 lessons learned from trial and error all the way to being a 6-figure earner. Would you like a learning curve? Would you like realistic and applicable answers to solve your personal and professional branding challenges? If the answer is yes, then this book is for you and the door is about to be opened for unlimited branding success.